3/24/03 - Lt Cmdr. 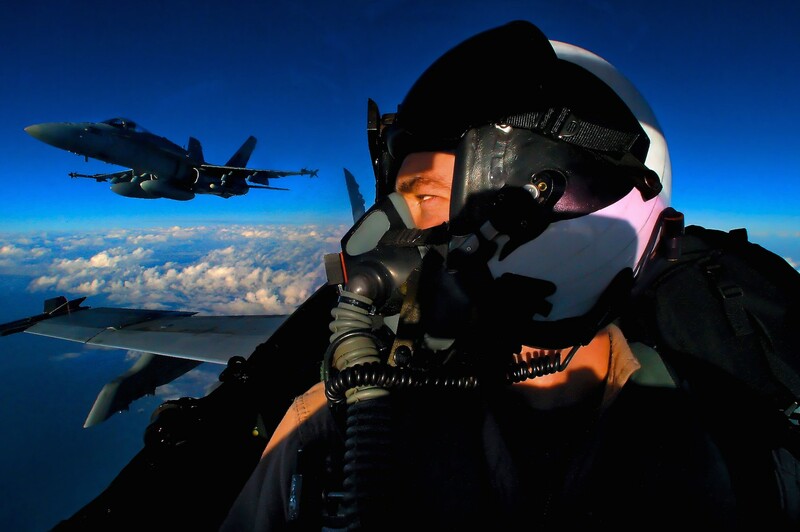 Sean Williams of the VFA-113 Strike Fighter Squadron flies on an air defense mission over Iraq in an FA-18C Hornet. This photograph was made with a remote camera, triggered by Williams, in the one seat somewhere over Iraq.